Tips and Tricks for the Traveler to Hawaii. Must read before booking. To help make your trip to Hawaii more unforgettable, check out the following tips in this article. These focus on the best places to explore and what to keep in mind when visiting those places, exciting things you can do, and when to actually visit the Hawaiian islands. Also, a few things to keep in mind are listed on how to experience the best of Hawaii if you are disabled or are traveling with a disabled companion. If you thirst for adventure, go to the "magic isle" of Maui and see and explore the incredible mix of terrain and unique landscapes. One of the popular attractions here is Haleakala, a majestic earthly formation that is about 10,000 feet above sea level. This is also a good spot to enjoy a breathtaking sunset, aside from the fact that the summit of Haleakala is a popular destination among hikers. Hiking the slopes of Haleakala means exposing yourself to sudden weather changes, so equip yourself with the right gear. Because of Hawaii's isolated geography, most of its plants and animals are endemic. Sadly, many of these unique plants and animals are considered endangered species. You can do your part in preserving and protecting Hawaii's natural beauty by not trekking on off-trails and trampling a good deal of endangered species of plants and animals. The Ho'okipa Beach in Maui is ideal for surfing. In fact, a good number of surfers from around the world spend their holidays here. This surfing spot is known for its impressive waves and trade winds that make surfing very challenging. But if you are not an expert surfer, you don't have to worry because you can actually take lessons here. Before you surf the waves of Ho'okipa Beach however, it's best to check out first weather conditions and swell predictions. Make sure to visit the "island of discovery" and the "garden isle," which is Kauai. Here, you will find the Waimea Canyon, the grand canyon of the Pacific. The Waimea Canyon is such a vast place, so making a donation at the ranger station in exchange for a map is a wise move. You don't have to pay for an admission fee when visiting Waimea Canyon, but if you plan to camp under the stars, you will be asked to pay for a permit. With miles of cliffs, lush rain forests, and unspoiled white sand beaches, Na Pali Coast is definitely for you if you want to experience true paradise. Because of its geographical isolation, it's best to equip yourself with the right gear, hiking shoes, and enough food and water supply when hiking the rugged terrain of this state park. Both the hiking trails and waters of the Na Pali Coast are for the adventurous, so make sure you are physically prepared to make a trip to this unique destination. To help preserve the natural beauty of this place, make sure to not leave any trash on its hiking trails and camps. Oahu is home to Waikiki Beach, a legendary destination that probably jumpstarted Hawaii tourism. If paradise for you is strolling along the sandy shores teeming with coconut trees while the scent of plumeria wafts through the air, visit Waikiki Beach. This location is known for its high-end hotels and botiques, but with a little planning, you'll be able to enjoy Oahu's Waikiki Beach without busting your bank account. A relatively nearby iconic land formation is the Diamond Head crater, just four miles from Waikiki Beach. Along with Waikiki Beach, the unique silhouette of the Diamond Head crater has become a popular image seen in post cards depicting the beauty of Hawaii. If you're not an early riser, make an exception and head to the Diamond Head crater to watch the sun's golden rays peak from the horizon. For history buffs, visiting the Bishop Museum is a must, as this houses plenty of Hawaiian artifacts. Visiting the Pearl Harbor and its museum should also be included in your itinerary if you want to learn more about Hawaii's role during the Second World War. The Arizona Memorial that houses the tombs of more than a thousand crewmen of the USS Arizona is also a place to visit for more of Hawaii's rich history. The Big Island's Mauna Loa and Mauna Kea are also worth visiting, especially if you want to go on a star-gazing tour. Located in Hawaii's Big Island, these two majestic mountains are just some of the many proofs of Hawaii's unique geography and climate, which includes vast rainforests, and the existence of deserts, snow-capped mountains, and tropical beaches all in one state. It's best to have an itinerary when visiting Hawaii because of the many things you can possibly do here. If sightseeing is number one in your list, make sure to do some research on the places that offer the best sceneries and how to get there. You may be overwhelmed with the number of choices because every island in Hawaii has picturesque views to offer. Hiring the services of a travel agent is a good idea if you wish to avoid the hassle of booking flights and planning for the transportation when hopping from island to island. Restaurant hopping is also a good way for you to experience the best of Hawaiian cuisine, which is as diverse as the islands themselves. If time, budget, and energy permits, engage in thrilling activities such as hiking, surfing, and snorkeling to ensure a fun-filled vacation. Joining helicopter tours is definitely a good way to get a unique view of the Hawaiian Islands. Take part in the festivals and celebrations showcasing the rich culture and tradition of the Hawaiians, such as the world-famous luau. Once you've had your fill of poke and kalua pig, feast your eyes on hula dances performed by the locals as they bring to life a form of dance believed to have been taught by the gods. This tropical paradise also offers restaurants where you can sample the best of Hawaiian dishes, from traditional to contemporary recipes. 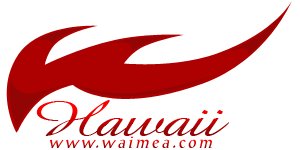 If you are on a budget, you can still enjoy and experience the best of Hawaiian cuisine. This is because there are plenty of restaurants that offer delicious local dishes and plate specials at affordable prices why not read our Pro Hawaii Travel Tips. Hawaii is a favorite vacation destination all-year round, since the weather in Hawaii can be described as consistent. Because Hawaii is a tropical group of islands, there are only two seasons here, summer and winter. Summer is from the month of May to October. Winter, on the other hand, is from November to April. Just like everything else about Hawaii, there is also diversity in the weather of each island. Because of the presence of shield volcanoes and the differences in terrain, each island or place can experience weather conditions that are distinct from those of other neighboring islands. Generally, the rainy months in Hawaii is from November to March. However, this should not discourage you from visiting Hawaii during these months. The weather here is localized, so even if it is raining in one place, you can still find sunshine in other regions. If you want to experience the legendary big waves of Hawaii, it is best to come to this place during the winter. During these months, big waves come rolling in most beaches in the North Shore because the Pacific storms drive ocean swells toward the islands. But if you want to see peaceful blue waters, you can find some sheltered beaches where the water is calm. Hawaii hosts various festivals every month. So whatever month you choose to have your vacation and if you're in the right place, you will surely get the chance to see a festival or two. If surfing is in your blood, it is best to come in February because the Makaha World Surfing Championship is held in Oahu during this month. For a wide choice of festivals, April is the best choice. During this month, you will be able to witness O'Neill Windsurfing, Maui Merrie Monarch Festival, Ho'okipa, Hilo, and Big Island celebrations. In May, Lei Day is celebrated by the locals so if you want to join lei-making events, plan for a Hawaiian vacation during this month. If you are or a traveling companion is disabled, Hawaii is still a top tourist destination because of its disabled-friendly accommodations and facilities. As a matter of fact, ramped curbs are found throughout Oahu, along with hotels that offer wheelchair-accessible rooms. Dogs used by visually impaired visitors as guides are also welcome in Hawaii, provided that the dog has proper documentation and certification. For disabled travelers, planning a vacation to Hawaii becomes easier through the services offered by numerous travel agencies that cater to tourists who have special needs.